A Callaway Performance Fitting Day will be held at Callaway’s Performance Centre in Rowville on Friday 15 February 2019. Address: 18 Corporate Avenue, Rowville. 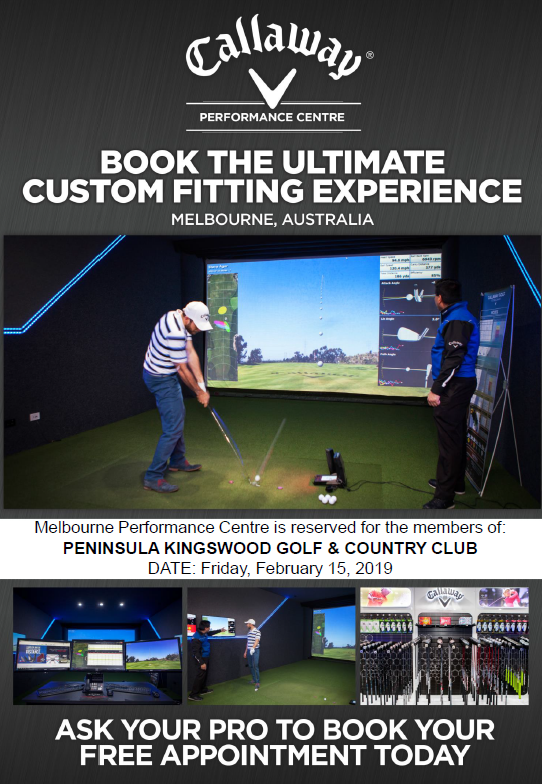 The Callaway Performance Centre has been booked for PK members looking to get the most from a premium fitting experience. This is an obligation-free day which, if anything, will leave you with a greater understanding of your swing characteristics such as club head speed. Our Club Professional, Stuart Byrnes will be in attendance to assist you with the process. Please click here to book a fitting time.